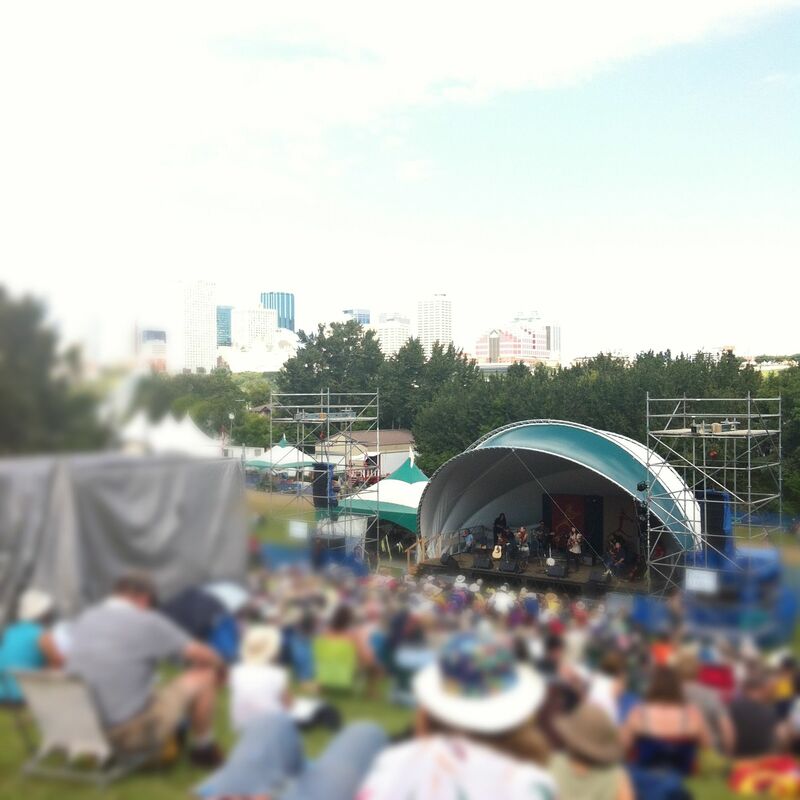 The heart of the Edmonton Folk Music Festival isn’t the the evening candles on Gallagher Hill, the hillside dance parties, or the headlining artists on Mainstage—it is the workshop sessions. I remember when I was planning on attending my first Folk Fest a friend, who was a seasoned Folk Fester, told me that I had to buy a weekend pass so I could attend the workshop sessions. I took her word for it. I have not regretted it since. The workshop sessions are constructed musician groupings by festival organizers. Prior to their time on stage, the musicians may have never even heard of each other. Some workshops may involve a very orderly presentation of songs by individual artists… but this defeats the point of a workshop session. To be a musician, one needs to be a musician within all contexts. Their musical skills should not only be isolated to performing their own personal music. However, when there is a consensus to unite the individual talents on stage, it is the ultimate aural showcase of musical synergy. I witnessed the aformentioned musical chemistry in two Saturday sessions that I attended. One session featured Rose Cousins, Jim Lauderdale, Pokey LaFarge, and New Country Rehab. What does a folk-pop singer-songwriter, bluegrass singer-songwriter, American Roots trio from St. Louis, and alternative country group from Toronto have in common? They’re all great musicians. Upon introducing Chuck Berry’s “Thirty Days,” the artists reworked the musical themes with an organic flow of guitar, fiddle, harmonica and vocal solos to present a unique version of the song. The same can be said for the session that included The Dunwells, who have recently arrived in Canada for the first time from Leeds, Royal Wood, and Bahamas. It took about two individual rounds of a very civil “battle of the bands” showcase before Bahamas frontman, Afie Jurvanen, invited Royal Wood and the Dunwells to play/sing as well. In my later interview with the Dunwells, they revealed they were uncertain of the workshop sessions improvisation etiquette, but they caught on soon enough with a canon of vocal harmonies. Joe Dunwell even happened to create his own lyrics at a midpoint in the song saying that he didn’t know the lyrics… and he sang this statement of fact with roaring passion. The Dunwell’s reciprocated the exchange by covering Imogen Heap’s “Hide and Seek,” and as soon as Joe Dunwell heard the ethereal female harmonies from the Bahamas singers, he couldn’t refrain from giving them a smile while continuing to sing. In both of these sessions, all the musicians contributed their voices to create a piece that only materialized at that one point in time. It is music-making with such transient beauty. This type of art cannot be prescribed. While it helps to arrange strategic pairings of artists, there is no way one can predict the musical outcome. 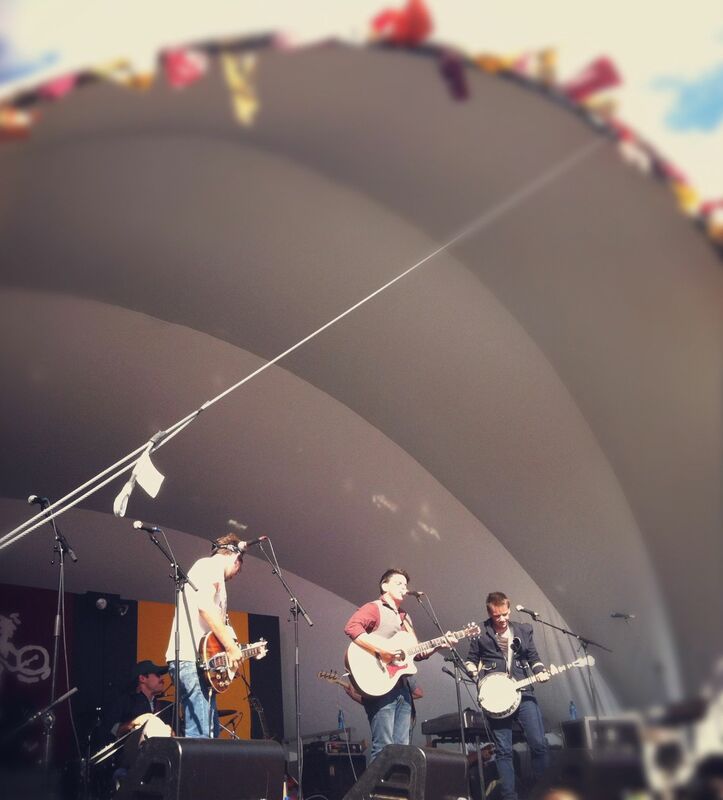 All you can do is sit back and listen to the heart of the Folk Fest.